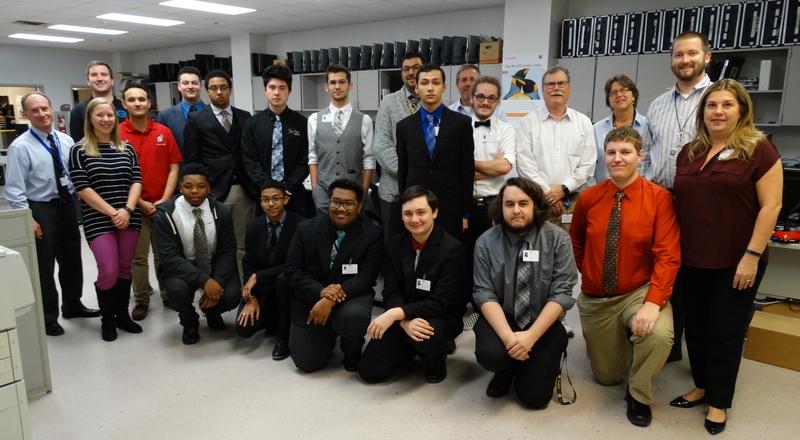 Students in the Advanced Technology Center’s (ATC) Computer Systems Technology II class are looking forward to making the transition from the classroom to real world experiences. Virginia Beach City Public Schools (VBCPS) Department of Technology (DOT) in partnership with the Technical Support Staff are excited about making this happen. DOT staff has volunteered to serve as mentors to the ATC students. The program kicked off last month with a meet and greet orientation where students and mentors were introduced and work responsibilities were discussed. As part of this program, the students will have a wide range of duties including; setting up and imaging personal computers, assisting fellow students, teachers, and staff with hardware/software issues, troubleshooting networking/printing issues and much more. Students will apply their technical skills, gain an understanding of the role an IT technician and continue to earn more industry certifications. Needless to say the students are very busy.